This week I have not been up to much cooking, cleaning or decoupage, but I got busy with crocheting. Here are my crocheted rings and other crocheted accessories. I have laid out a free crochet pattern for this 5 petal flower. 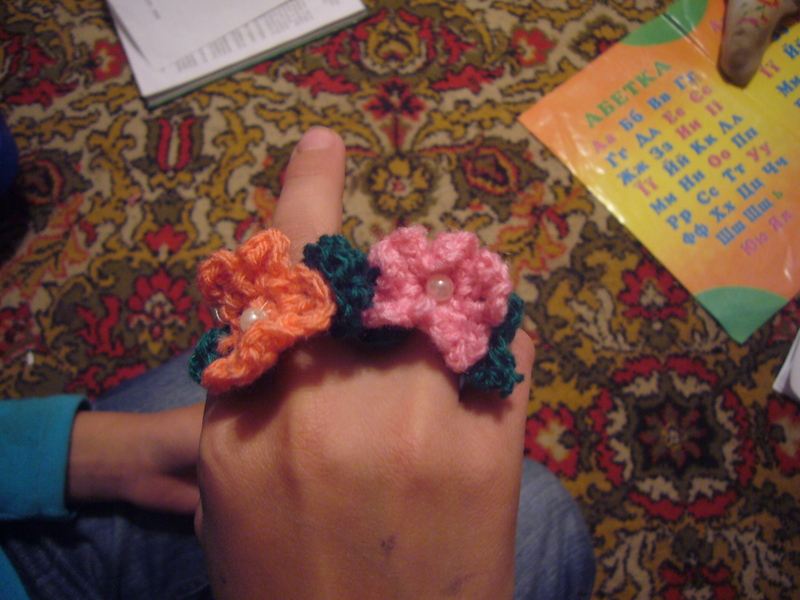 Kids love these crocheted rings! 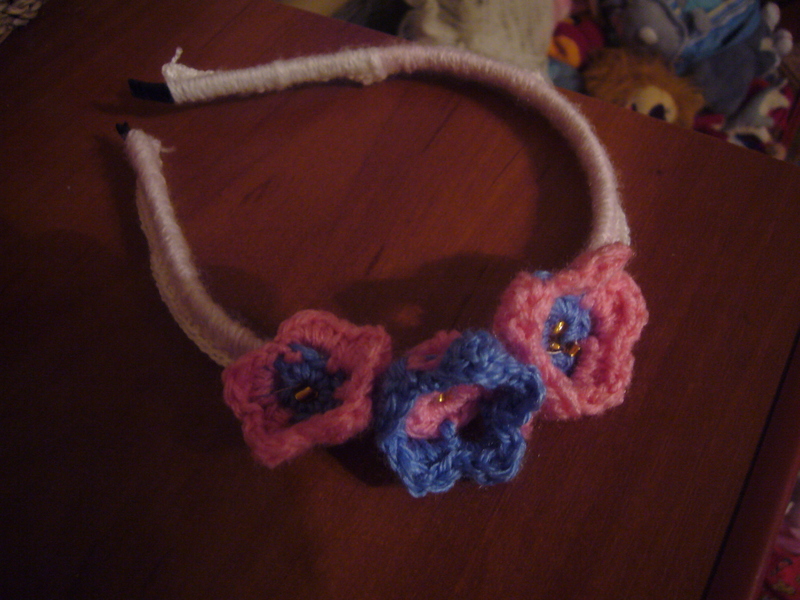 Here is my crocheted head band with flowers. I used a different pattern for these. It was an old and ugly head band. 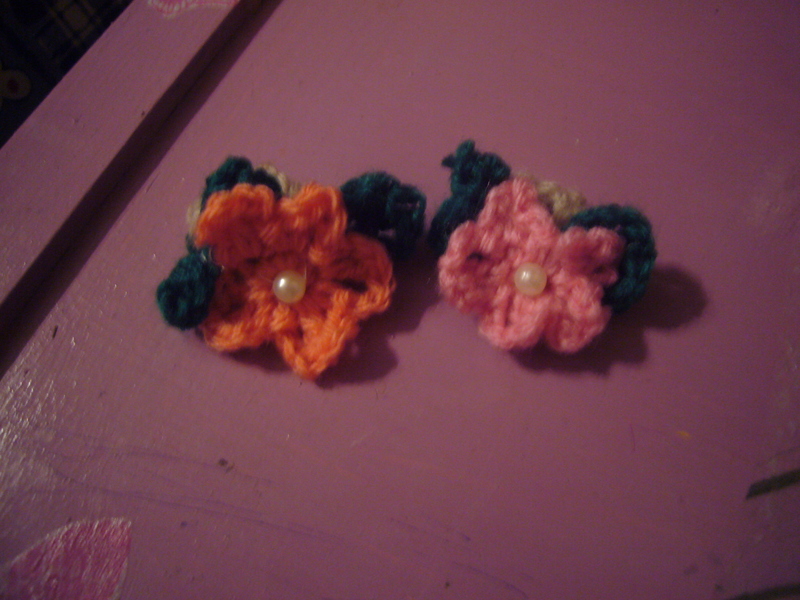 I crocheted it over with the pink yarn and added crocheted flowers. I have crocheted a foundation for it, all the flowers and leaves and the button. 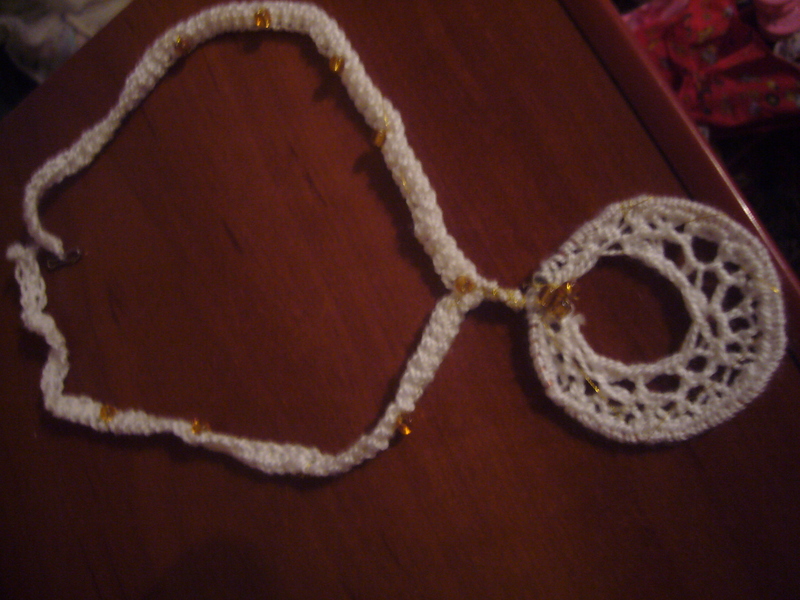 Finally, the last one of my crocheted accessories is the pendent. It would look great, if coupled by a pair of ear rings of the same type. 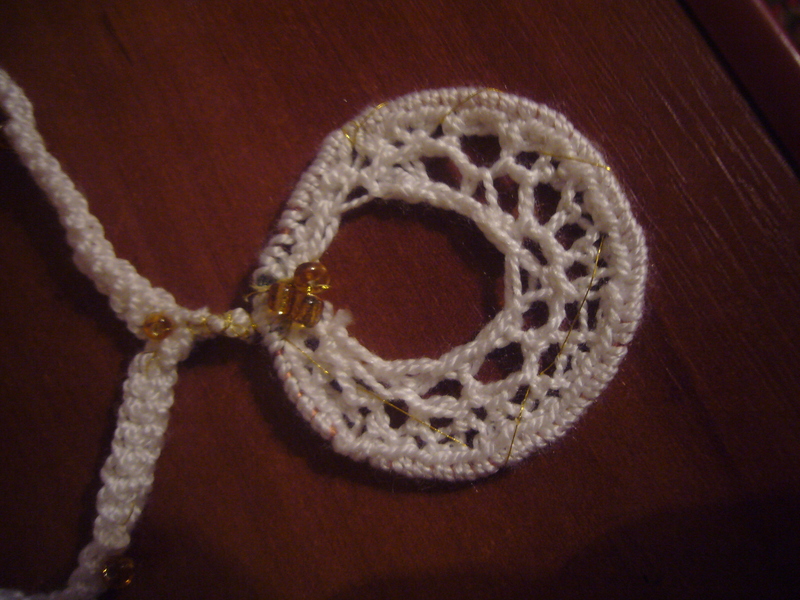 These are my little crochets of the week: crocheted rings, crocheted bracelet, crocheted head band and crocheted pendent. 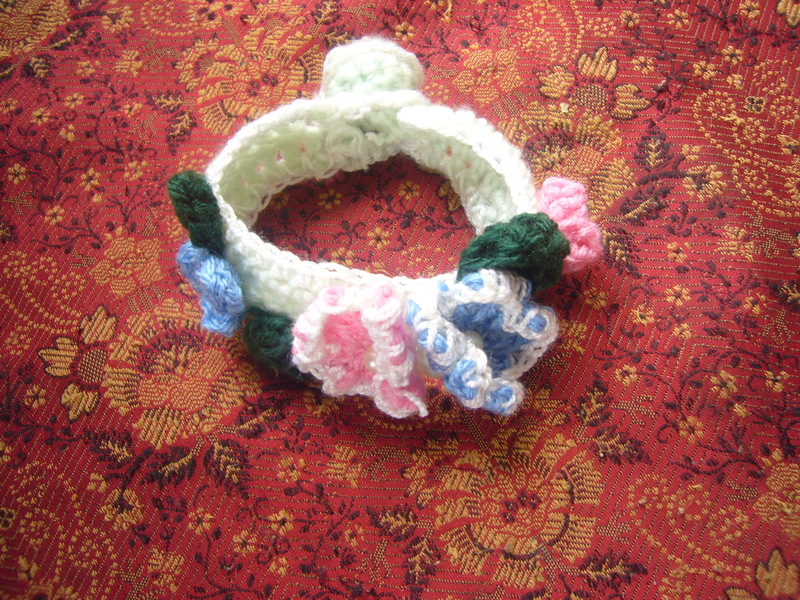 This entry was posted in Crocheting, Handmade jewelry and tagged accessories, crafts, crochet, crocheted bracelet, crocheted flowers, crocheted head band, crocheted pendent, crocheted ring, crocheting, DIY, handmade, handmade accessories. Bookmark the permalink.